Small Life, Slow Life: Take a Break. It’ll All Still Be There. It was 10pm on a Tuesday and my best friend and I were deep into her wedding preparation. We’d affixed labels to 144 beer bottles brewed by a friend, gotten the music set, gone over her vows and were planning on working out the table numbers when it hit: the desperate need for a break. “Should we go see a movie?” I asked, mostly in fun. 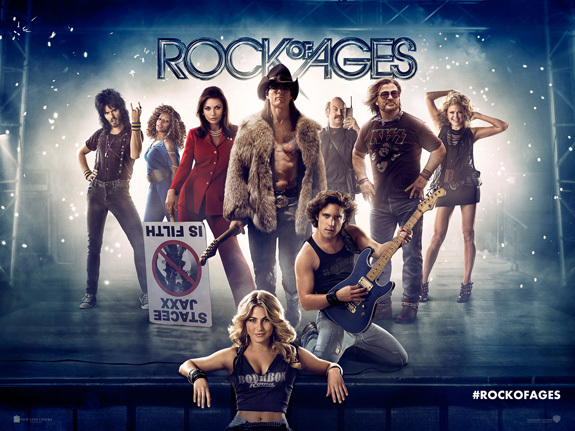 “Rock of Ages?” she responded. “Go!” her husband-t0-be said, handing us free movie passes. We looked at each other a little guiltily. Was it really okay to take off and do something fun in the midst of having so much work to do? “Seriously, go,” her fiance said. So in the midst of all of the craziness, with just four days before the wedding, we hopped in her car and went to see a movie. It broke up the workload and the amount of stress everyone was feeling. The movie was terrible (laughably so) but some good 80’s music and Tom Cruise strutting around in bum-baring chaps was just what the doctor ordered. So seriously. Take a break. Even if it’s the eleventh hour. It’ll all still be there when you get back, and with a fresh mind, you ‘ll work better.